Often, scammer will send you a fake email that looks as if it is coming from a friend, colleague, or even an organization you would normally trust. As an example, our financial services clients often belong to a group called NAIFA – the National Association of Insurance and Financial Advisors. 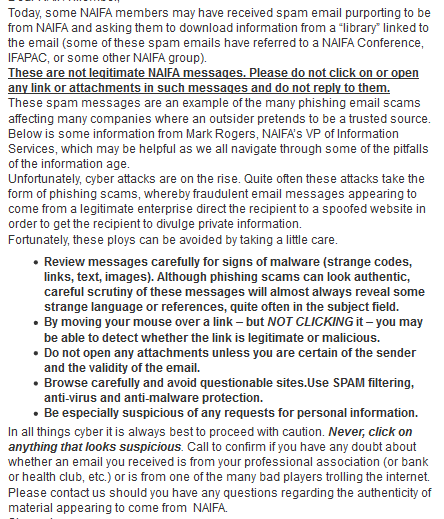 Financial advisors reported receiving emails that looked like they came from NAIFA. The fake emails talked about a document for an upcoming conference. 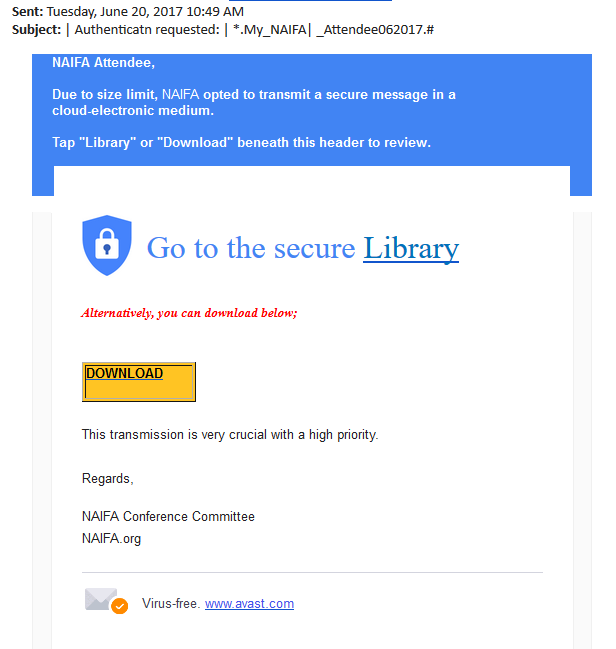 On further examination, the email came from fake email addresses, not from NAIFA themselves. 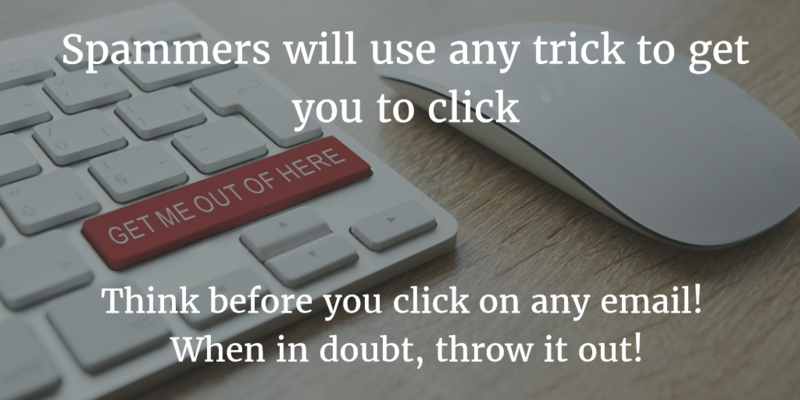 Scrutinize each email you receive and do not just click! Take the time to read and think before you click. When in doubt, throw it out!